Andre Daude: Pianos Daude. 157 x 117cms (c. 62 x 46 inches), 1975. Unusually, this poster was designed by the owner of the store for its opening at 85 Avenue de Wagram in 1926. When the store moved to 85 Avenue de Wagram in 1975 the poster was re-issued with the new address. Folds. Category: Advertising Posters. 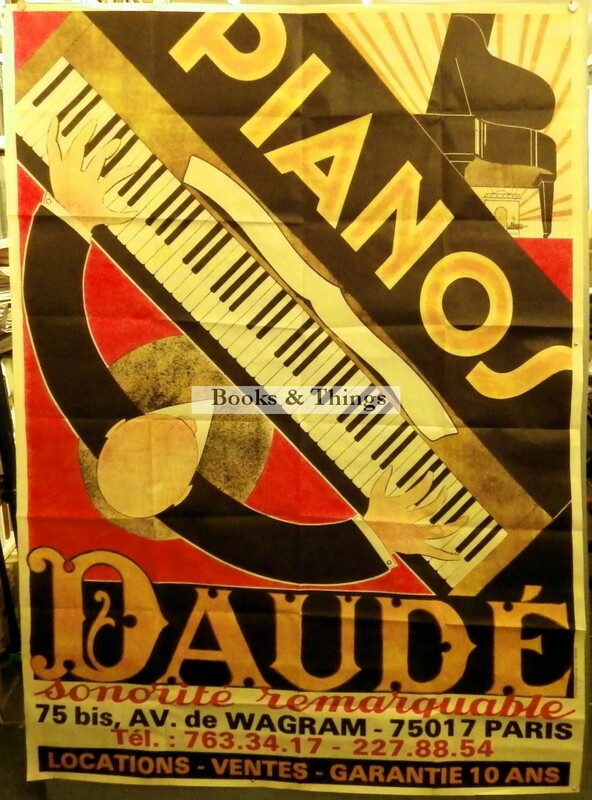 Tags: Andre Daude poster, Daude Pianos poster.